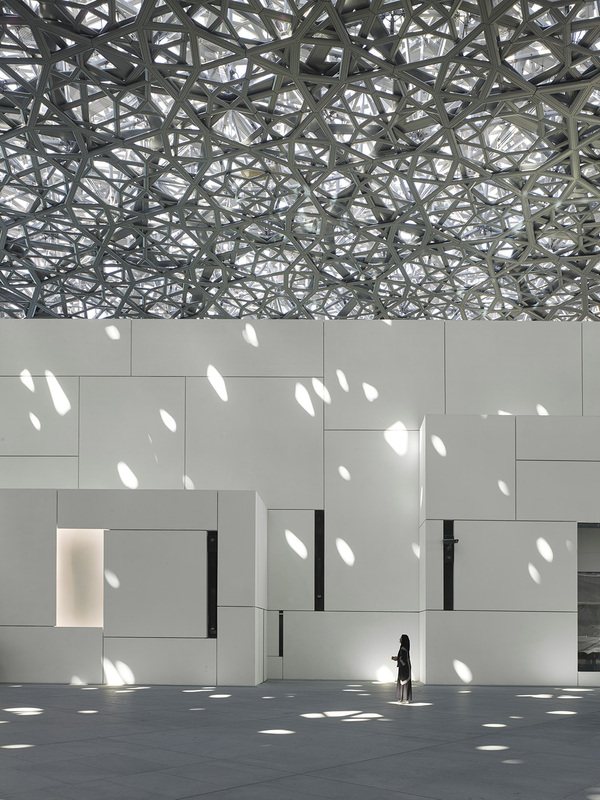 It’s been more than a decade since the government of Abu Dhabi signed an agreement with France to mark the deal that started the Louvre Abu Dhabi, and on November 11, 2017, the highly-anticipated museum finally opens to the public. The incredible Jean Nouvel–design building debuts with a chronological exhibition that examines a “universal narrative” told through 12 chapters, beginning with a tiny Chlorite Bactrian princess from the beginning of the 2nd millennium B.C. and ending with an enormous crystal fountain of light by Chinese activist artist Ai Weiwei from 2017. The institution’s first special exhibition, which opens on December 21, will trace the history of the Louvre from its beginnings as the royal collections of King Louis XIV in the 18th century to the founding of the famed Paris museum. 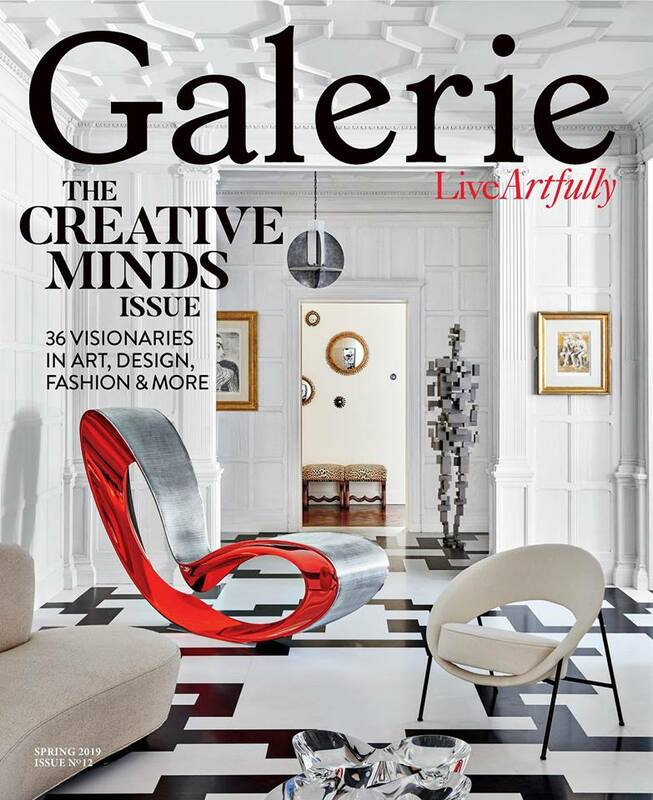 “We are finally seeing this project go from a dream to reality,” Nouvel tells Galerie, who was tasked with designing the building back in 2006. 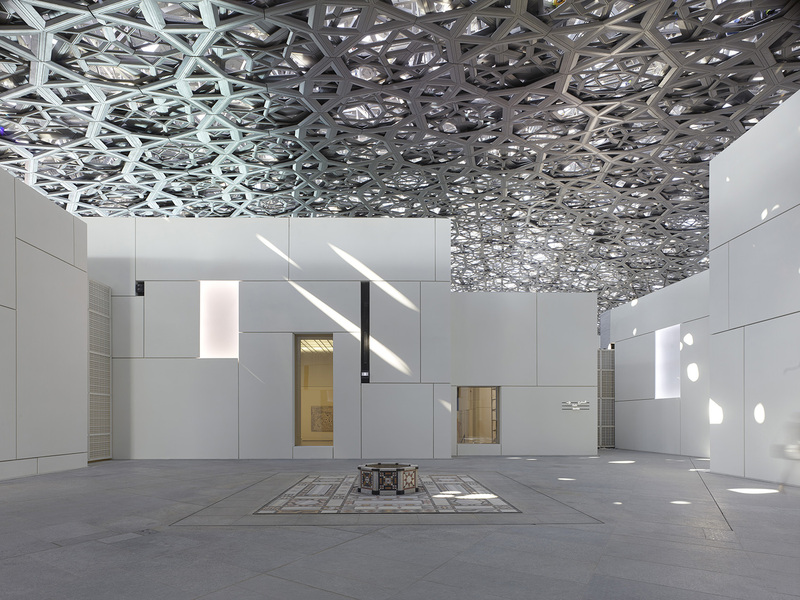 The Pritzker Prize–winning French architect, who helms the firm Ateliers Jean Nouvel, took the project’s Middle East location as the central inspiration for his design, modeling the 55 stark-white cubes that comprise the museum after a traditional low-lying Arabian city. 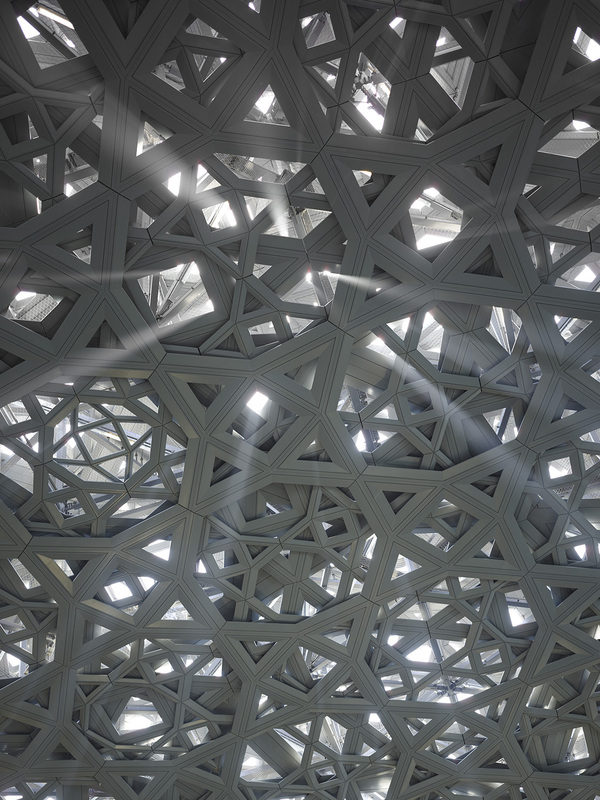 A splendid metal-lattice dome that measures 590 feet in diameter covers the structure. Using layers of perforated metal, the result is a mesmerizing display of dappled light, an effect inspired by the palm fronds in the Al Ain Oasis, that also works to provide respite from the region’s brutal climate. 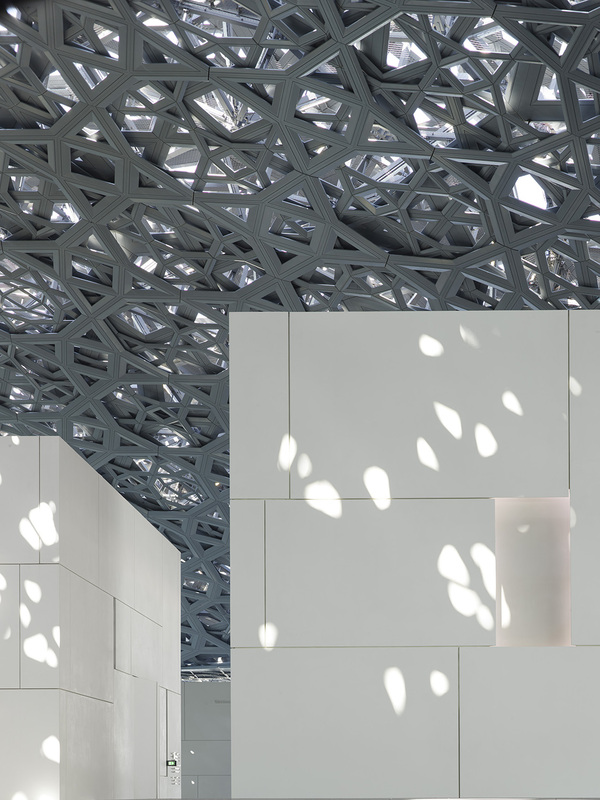 See the slideshow below to take an tour of the Louvre Abu Dhabi with Jean Nouvel. Italian artist Giuseppe Penone’s "Germination" is a three-part exhibition that he made specifically for the museum. 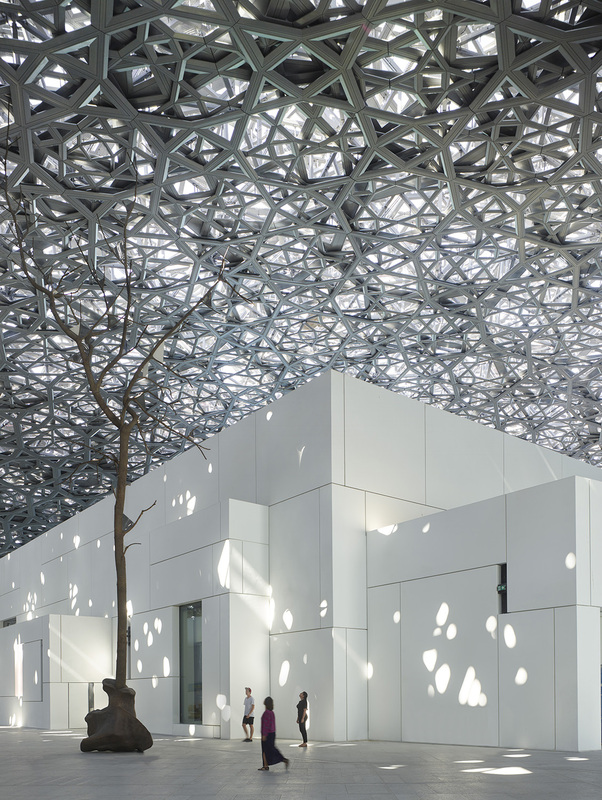 Consisting of Leaves of Light, a bronze tree that reflects Nouvel’s stunning rain of light, Propagation, a wall of concentric circles hand drawn on porcelain tiles that represent the thumb print of the late Sheikh Zayed, and Earth of the World, a vase made from clay sourced from the U.A.E. with a series of clay lumps. “We gave him this space,” says Nouvel. “He has works on two windows on each side of the tree. He tries to find the relationship within the canopy, the sky and the ground, through the interpretation of the tree that he chose. 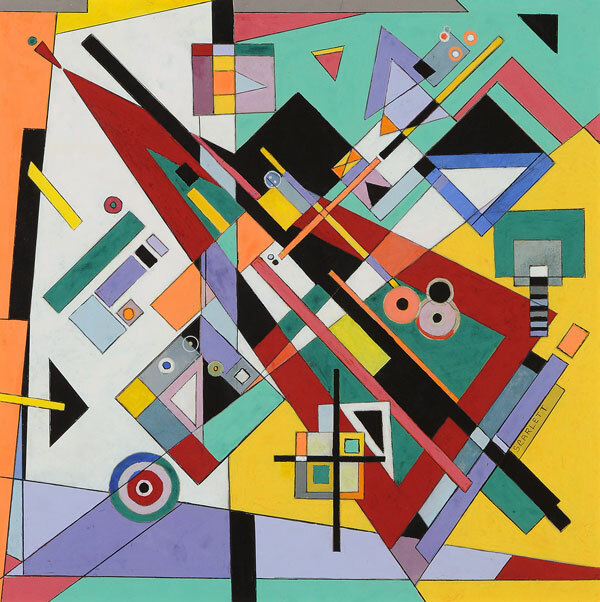 It's a geometry of textures." 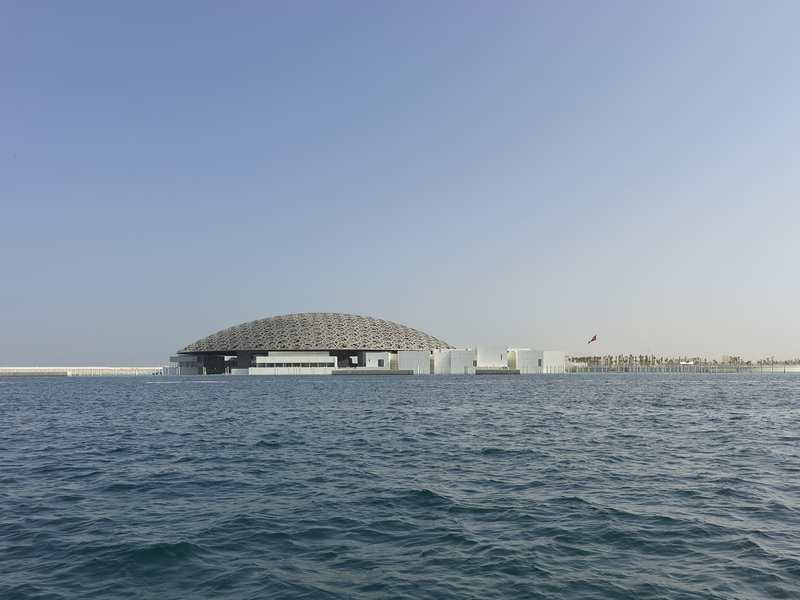 The Louvre Abu Dhabi is situated on Saadiyat Island, where two bodies of water, the Khor Laffan and the Arabian Gulf, meet. “The possibility of accessing the museum by boat or finding a pontoon to reach it by foot from the shore is equally extraordinary,” Nouvel continues. “Based on the geographical characteristics, the climate, and he culture, I wanted to make sure that a building like this belongs to the local culture. I took the metaphor of the city through these white cubes that demonstrate the medina,” says Nouvel. “The buildings are very close to each other, like an Arabian city, or medinas,” he points out. Nouvel designed the dome as a symbol of the palm tree canopies in the nearby Al Ain Oasis, creating what he calls a “rain of light.” "It is like a sky under the sky, it is a dome that is humungous because it is 180 meters in diameter, and perforated, which is the combined geometry and light,” said Nouvel.